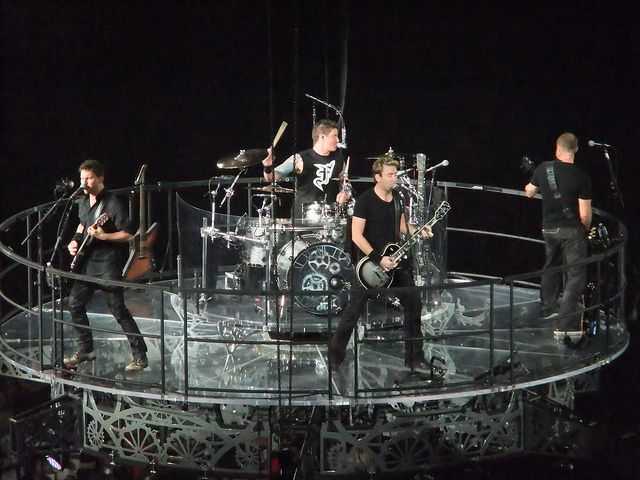 Nickelback has decided not to ride on their recent journey in North America because of their lead singer’s surgery. The Canadian rock band announced about the cancellation of their scheduled tour over the weekend. Chad Robert Kroeger has got a cyst on his voice box and has been advised for a surgery. The front-man of the group is the person without whom the band wouldn't have been at the place where it stands now. Seeing the importance of his surgery, Nikelback have cancelled the tour and will not perform in the rest gigs of their No Fixed Address tour dates. The band was all set for their rocking performances on North American stages but luck didn't really work for them this time. On the other hand, the guitarist of the band feels himself a guilty for breaking their fans hearts. While talking to the media, Chad stated that he was sorry to have interrupted the tour and was definitely not delighted with the view of being voiceless for several coming weeks. According to 40yrs old star, it was the time when he could be out there performing for his fans. The following year so far has not been in Chad’s favor. Just a few months ago his wife Avril Lavigne was fighting with her devastating infection Lyme disease that caused her refrain from her professional life and now the producer of the band has a time to deal with his though time of the life. Chad has been advised to take rest until he goes through his vocal operation. He has to maintain vocal rest and be muted all the time. The sources say that his upcoming surgery is comparatively simple and Chad will be fully recovered in time to go on with his band's European tour that's scheduled on September 30 in Finland.